The Colosseum? Seen it. The Eiffel Tower? Done That. La Sagrada Familia? Meh. If you’ve well and truly ticked off Europe’s biggest landmarks from your travel bucket list, it’s time to stray from the norm. We’ve come up with some alternative options for a European city break that’ll convince your friends that you’re actually a really cool, trendsetting and totally off-the-beaten-track kind of traveller. 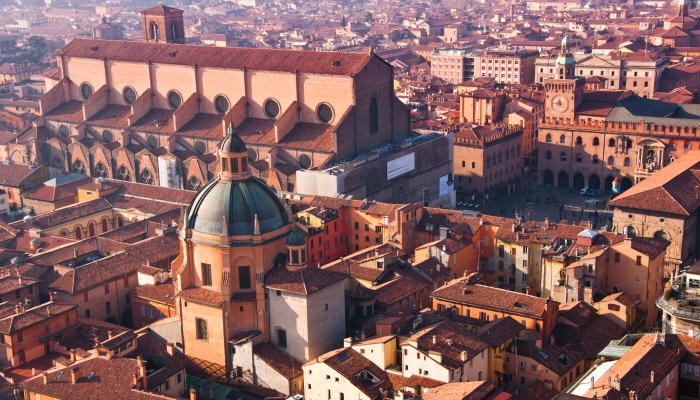 For those wanting a taste of the real Italy, Bologna is a spellbinding medieval city in the heart of northern Italy and a great alternative to Florence. The city is known for its red-bricked buildings, labyrinth-like Italian alleyways with washing strung through the streets, and is home to the oldest university in the world. A haven for foodies after real Italian flavours, and recognised as the home of deliciously tangy ragù sauce, the city boasts hundreds of authentic restaurants where you won’t find a suspiciously mustachioed waiter overly pandering to the Italian stereotype. Flights are pretty cheap too! Ahh la belle France, how we love its arty city streets brimming with fromage-fixated, beret-wearing romantics – yes we’re stereotyping greatly here, but it’s a stereotype that has won our hearts. For a French city break where you can don a Breton-striped jumper and not stick out like the tourist you are, head to beautiful Nîmes – a great alternative to Paris or Bordeaux. Sandwiched idyllically between the Mediterranean and the Cévennes mountains, the city is referred to as the ‘French Rome’ for its ancient historical monuments. 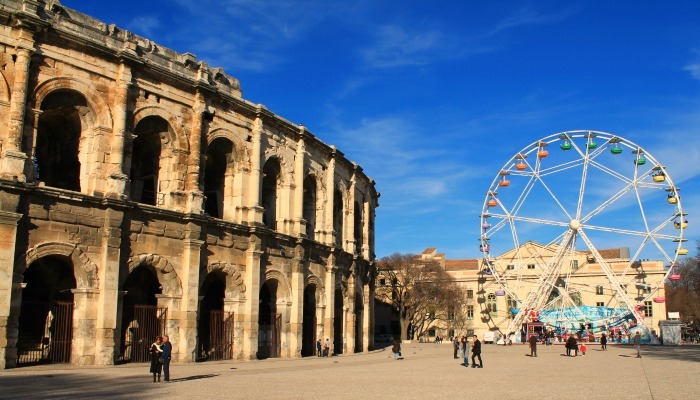 A rather impressively preserved amphitheatre that once held Roman gladiator tournaments is now the stage for traditional French festivities. Its these landmarks which make the city so special, serving as reminders of its Roman and Mediterranean heritage but with a modern French twist. Current Italian influence comes in the form of coffee and Nîmes has a selection of great coffee spots. 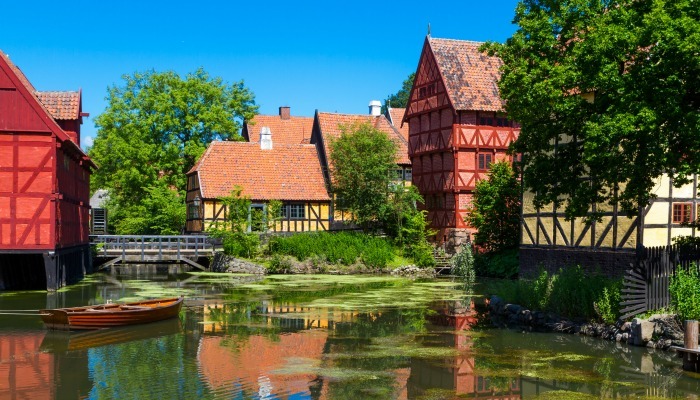 This quaint and cobblestoned corner of northern Europe is a cultural haven that should be immediately pencilled into your 2017 travel itinerary. With those bright terracotta rooftops that are so distinctly northern European and its cutting-edge modern buildings, it’s a pretty little city. It’s home to a host of ultra-cool bars and restaurants committed to breaking gastronomical moulds left, right and centre and has escaped the hordes of tourists – lured instead to Copenhagen by cheap Ryanair flights. Aarhus is also an academic hub with a large population of students and a library voted the world’s best. Often overlooked by Austrian capital Vienna, Graz is the country’s second largest city and boasts a similar level of architectural splendour and cultural exuberance – but it’s far quirkier. 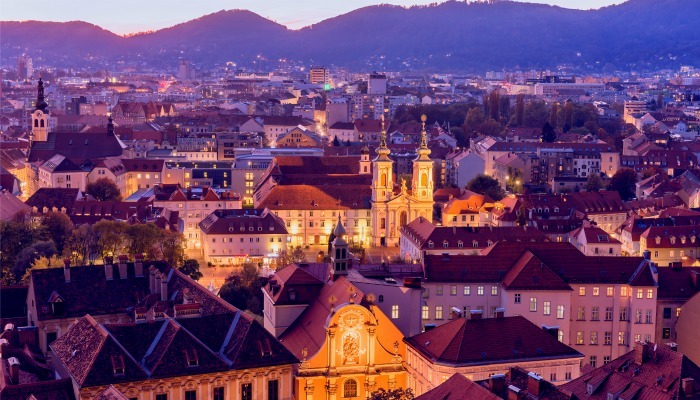 The city is a glorious blend of baroque and Renaissance architecture as well as dramatic modern sights like Kunsthaus Graz – the country’s contemporary landmark that draws puzzled architecture students from across the world. There is also a pretty hip music scene, spurred on by students who have been inspired by the city’s musical heritage, with the Royal Garden Jazz Club just one of the examples of the many small music venues dotted across the city. 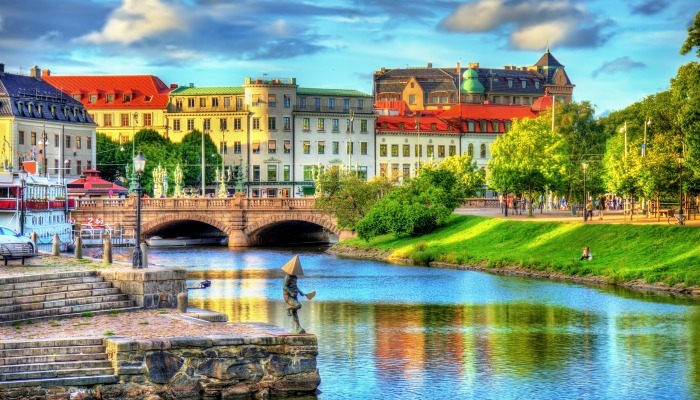 For an unconventional and cheap Scandinavian city break, Gothenburg is a colourful and cosmopolitan port offering eye-catching architecture, street art, a charming canal and hip cafes overflowing with artistic and creative types. What’s more, a trip to this Swedish city isn’t as obvious as a city break to Stockholm – oh how conventional! The city puts on a fabulous display of festive markets every year, but Gothenburg isn’t just for Christmas, with its great museums an option for a cultural day trip and restaurants specialising in cutting-edge Scandi cuisine. Holidaymakers to sunny Spain tend to head for the southern costas, lured by a Mediterranean lifestyle based on calamari and sangria, and I certainly don’t blame them. However, if you’ve exhausted every tapas joint in Seville, why not head north to where France and Spain meet in the Bay of Biscay for a glorious culture clash. 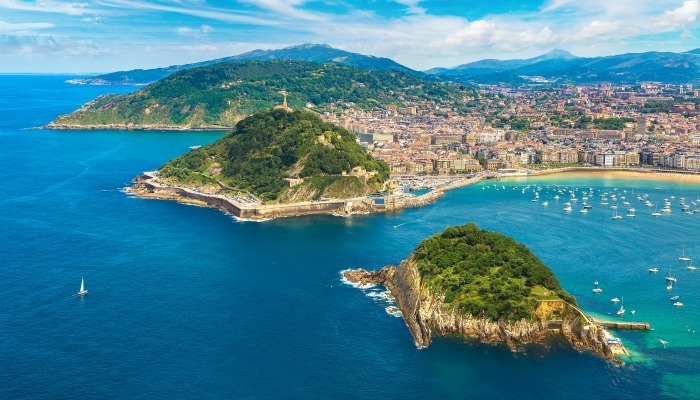 Officially the Basque region, the city of San Sebastian is a food lover’s paradise, with plenty of Michelin-starred restaurants alongside local hang-outs where fisherman haul their catches for fresh ingredients in pintxo – the local name for tapas. There are a selection of pretty bays where you can spend your days free from the fear of being hemmed in like sardines on an overcrowded Mediterranean beach! 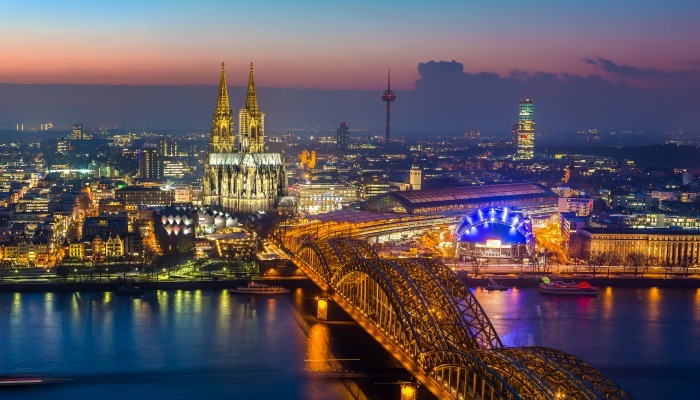 If you fancy taking on the Berlin’s heavy nightlife scene but want to avoid the overwhelming smugness of nightclub bouncers who think that maybe your outfit doesn’t really suit their ‘vibe’, head to Cologne and you may actually make it inside – hurrah! With the twisting Gothic spires of its central Cathedral dominating the skyline and a Love Locks bridge crossing the Rhine, it is far prettier than the concrete-clad capital and is a great setting for a romantic weekend getaway. The city’s springtime Carnival transforms the city streets into the ultimate fancy dress party – it is this time of the year where Cologne becomes a real contender for Berlin’s nightlife crown. Ghent offers tourists the best of Bruges but without the crowds. 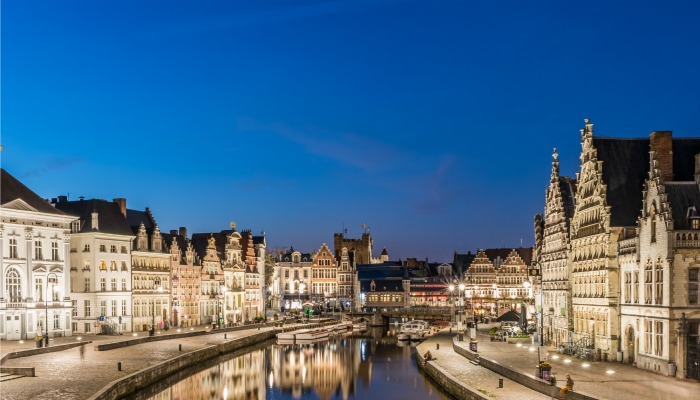 It’s got a truly intimate and cosy feel with its medieval streets and wide paths that line the winding canal, buildings with quintessentially Flemish facades and a rather grand 12th century castle. Living up to the Low Country stereotype as a haven for cyclists, bicycles are everywhere, only adding to the city’s whimsical charm. By night, pulsating bars and pubs open their doors to those with a taste for Belgian beer (which is everyone in this city). 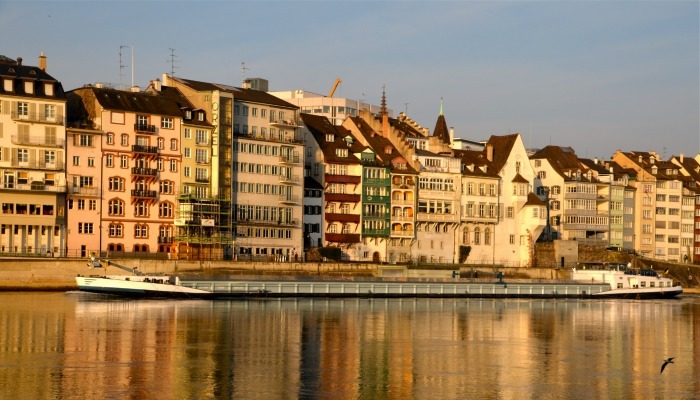 Basel sits at the crossroads of France, Germany and Switzerland, meaning the city has absorbed traditions from bordering countries, making for a beautiful collision of culture. The city is set on the banks of the Rhine and what with its enchanting mountainous views of neighbouring countries, the city boasts typically Swiss landscapes. Basel has a balance of modern architecture and ancient buildings in its cobbled Old Town and is ultimately a city for art and architecture lovers with over 40 galleries and museums to visit. This is one for those with a love of all things Alpine and who have already ticked off Zurich and Geneva from their travel wish lists. Like the sound of a Guinness-fuelled weekender in Dublin but want to escape the stag dos? Galway is your answer. 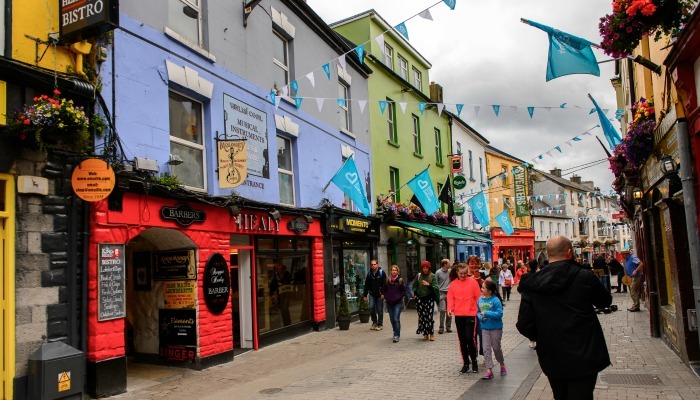 A charming harbour city on the west coast, Galway has got everything the Irish capital has, and in abundance. The city’s Latin Quarter is a hub of enchanting city streets lined with traditional brightly-painted pubs where you’re almost certain to find a lock-in of fiddle players for an authentic Irish live music experience. Alternatively, head to the seaside and enjoy a fresh oyster – famed in this part of Ireland. The city is steeped in rich history and medieval town walls can be seen around the city. Citizens cling to this heritage, with Irish spoken in its streets and shops.